I learned a lot about WAN optimization writing this white paper for Orbital Data. Managing a wide-area network (WAN) is certainly far more complex than managing a local-area network. Because network performance can degrade rapidly over long distances, many companies simply buy more bandwidth. 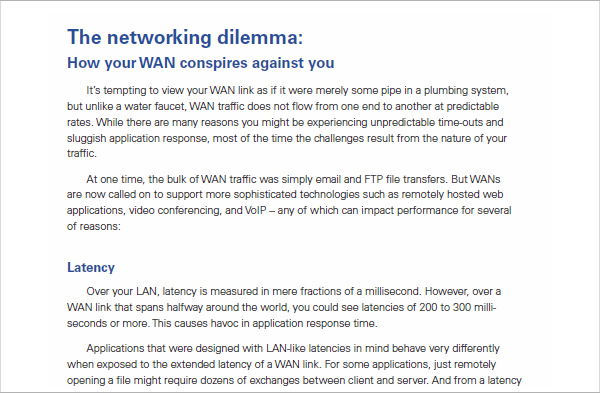 But without optimization, adding bandwidth can make problems even worse. Orbital Data offered a different approach – technology that automatically analyzes WAN traffic, and applies the best technique in real time without the need for fine tuning. 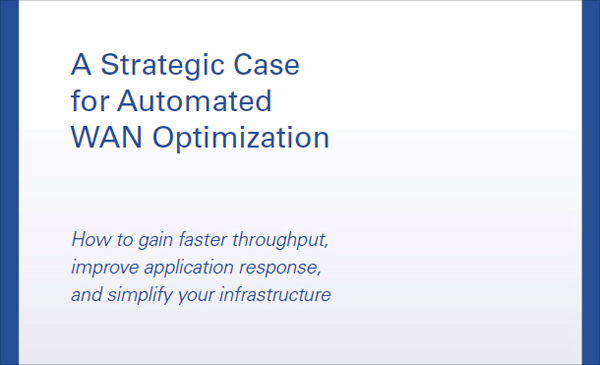 Because WAN bandwidth can represent one of an organization’s largest ongoing IT expenditures, this automated approach provided a strategic advantage in improving productivity and cutting complexity. 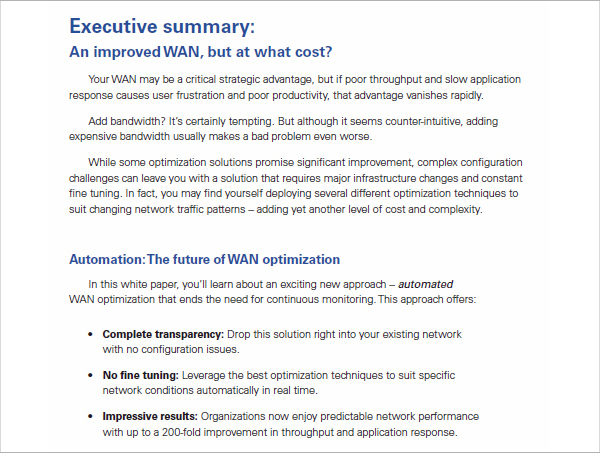 This white paper explains what causes poor WAN performance, why adding bandwidth can make the problem worse, and presents the strategic case for automated WAN optimization. Here are a few excerpts from the white paper. Or you can read the entire paper in this PDF.